Flooding and sewer backup can wreak havoc on your home. Learn six sewer backup prevention measures to minimize your chances of water or sewer infiltration, and what to do if it does happen to you. 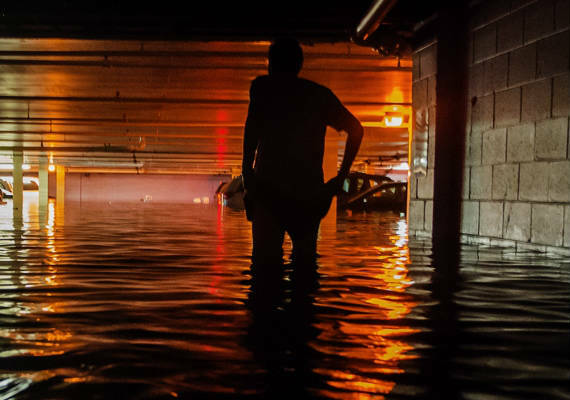 Flooding remains one of the most common and costliest natural disaster in North America each year, according to the Federal Emergency Management Association (FEMA). Whether from surface water or sewer backup, flooding is a homeowner’s worst nightmare, because water damages everything it touches - floors, walls, furniture and electrical infrastructure. Whether your home is in a major flood zone or not, you should still be concerned about flooding. Did you know, most floods occur in non-flood zones? And even if you’ve got homeowner’s and flood insurance, you still may not be fully covered. Sewer backup, a common result of flooding from storms, clogged sewers and sump pump failure typically isn’t covered by either policy. While homeowner’s insurance will provide Loss of Use coverage, which will take care of living expenses like food and lodging should your home be deemed uninhabitable, you’ll need a special rider to pay for the damages and repairs resulting from sewer backup. Sewer backup is more common these days due to an aging U.S. sewer system (domestic sewer lines are on average over 30 years old), that combine storm water and raw sewage and old tree roots seeking moisture. There are a few preventative measure homeowners can take for sewer backup prevention. Maintain your sewer lateral. Most homeowners don’t realize it’s your responsibility to maintain the pipeline between your house and the city’s sewer main. A lateral that’s cracked, deteriorated or filled with tree roots will allow groundwater to seep in. Dispose of grease properly. Don’t pour cooking oil or grease into the drain. When it cools off, it will solidify either in the drain or in the main sewer causing a clog. Dispose of paper products properly. Paper towels, disposable and cloth diapers and feminine products take a long time to deteriorate, and can clog the line. Consider plastic piping. Tree roots can’t break through plastic piping, and therefore create a more secure line. Correct illegal plumbing connections. Depending on where you live, it may be illegal to connect French drains, sump pumps and other flood control systems to your sewer. While common drainage systems, these illegal connections can cause debris and silt to clog your line. Consider a backwater prevention valve. Installed onto the sewer line in your basement, a backwater valve allows sewage to go out but not back in. When installed and maintained correctly, it can serve as a final line of defense in sewer backup prevention. If you do experience sewer backup, prompt cleanup of affected areas will help prevent further damage to your home, minimizing destruction to your interiors and valuables. Consider hiring a reputable cleanup crew to wet-vacuum or remove the spillage, clean floors and walls, steam clean or remove wet carpet and drapes and clear out all ductwork. You’ll also want to flush out and disinfect plumbing fixtures to ensure there’s no more blockage. Consult with your HUB broker to determine if you’re properly covered for flood and sewer backup and what you can do for sewer backup prevention to minimize future risk.